J.D.R. Hawkins is an award-winning author who has written for newspapers, magazines, newsletters, e-zines, and blogs. She is a member of the International Women’s Writing Guild, the Mississippi Writers Guild, Rocky Mountain Writers, and Pikes Peak Writers. She is also an artist and a singer/songwriter. Her two previous novels, A Beautiful Glittering Lie and A Beckoning Hellfire, have received numerous honors and awards. Ms. Hawkins is currently working on a nonfiction book about the Civil War, as well as another novel in the Renegade Series. 1 – Your novels are specific to the civil war and the time period they occurred in. Can you please share a bit how you go about your research? I conduct extensive research to incorporate realism into my novels. By this, I mean that I search out anything I can find. This includes reading old books and articles, studying photographs and artworks, reading information online, and visiting museums. I also love talking to people, because many have stories about their ancestors. I try to incorporate all these elements into my books. I also study about the places in my novels, including landmarks, local dialect, period dialogue, clothing, music, etc. 2 – The detail in your books are amazing! Have you visited these places you write about so eloquently? Strangely enough, I wrote the books before I visited their settings. I envisioned the books before I ever saw any of the battlefields, and then I decided to visit these places, just to make sure I was getting it right. Lucky for me, I was! 3 – If you could write about another period, which would it be? Would it still be historical fiction or something completely different? I have written a young adult novel about the Great Depression. The novel takes place in my hometown, Sioux City, Iowa, and is based on my great aunt and uncle. They owned a hotel downtown, and rumor has it they were in cahoots with several gangsters, including Al Capone. I would also like to write a memoir about my dad, who passed away five years ago. He always wanted to visit Ireland. My husband and I went there for our anniversary a few months after Dad died. I felt like part of me was taking the trip for Dad as well, because he never got the chance to go. 4 – What are some of the other genre’s you are interested in writing about? I’m an Agatha Christie fan, so I would love to write a mystery/thriller. I would also like to write something fun in the chick lit genre, or possibly something about animals, like Marley and Me or Dewey. 5 – Finally, what’s next for J.D.R. Hawkins? Can we look forward to more books from you in the Renegade Series? In June, I am publishing a nonfiction book titled Horses in Gray: Famous Confederate Warhorses. It will be published by Pelican Publishing, and is my first attempt at nonfiction. I also plan to re-release the second book in the Renegade Series, titled A Beckoning Hellfire. This book begins where A Beautiful Glittering Lie left off, and ends where the third book in the series, A Rebel Among Us, takes up. I have written the fourth book in the series, so I’m hoping to have it published next year. And then I intend to write a fifth book in the series. Look for her upcoming novel, A Beckoning Hellfire, due out later this year. J.D.R. Hawkins is an award-winning author who has written for newspapers, magazines, newsletters, e-zines, and blogs. She is one of only a few female Civil War authors, and uniquely describes the front lines from a Confederate perspective. Her Renegade Series includes A Beautiful Glittering Lie, winner of the John Esten Cooke Fiction Award and the B.R.A.G. Medallion, A Beckoning Hellfire, which is also an award winner, and A Rebel Among Us, recipient of the 2017 John Esten Cooke Fiction Award. These books tell the story of a family from north Alabama who experience immeasurable pain when their lives are dramatically changed by the war. 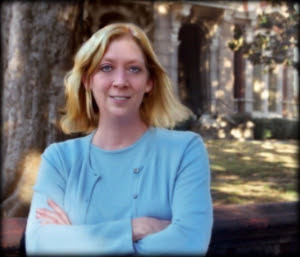 Ms. Hawkins is a member of the United Daughters of the Confederacy, the International Women’s Writing Guild, Pikes Peak Writers, and Rocky Mountain Fiction Writers. She is also an artist and singer/songwriter. Her nonfiction book about the War Between the States is slated for publication in June. She is also working on another sequel for the Renegade Series. I’m inspired by many things, but most specifically, by the people I meet, personal experiences, and things that interest me. On average, each novel takes about six months to research and six months to write. Once I have the basic storyline figured out, I draw up an outline of the overall book and break it down by chapters. All the time! My characters all have minds of their own. They have changed the story line many times, as well as what I imagined their dialogue to be. I don’t really talk to them, but they sure do talk to me! Always strive to improve your craft and never give up. It’s easy to get discouraged when you receive reject letters. One author I know said he wallpapered his bathroom with them. Keep a good sense of humor and don’t let negative criticism get to you. I originally self-published my first two books because it gave me the opportunity to learn more about the industry, and I had more control over the books’ content and covers. But then I found an online publisher that provided free editing services. Unfortunately, they folded, so I went with an upstart small publisher, Foundations, LLC. They are publishing all of the books in the Renegade Series. My nonfiction book is being published by Pelican Publishing. I don’t currently have an agent but I would be open to the idea. I believe e-books are very convenient and economical, but I know a lot of people who prefer physical books as well. With the advent of self-publishing, I think many more talented authors will have the opportunity to see their efforts come to fruition. Thanks for your support! Please feel free to contact me and voice your comments! A Beautiful Glittering Lie, the first book in the Renegade Series, was re-released this week in paperback and hard cover. This book won the 2013 John Esten Cooke Fiction Award and the 2012 B.R.A.G. Medallion. It also received honorable mention at the 2012 Los Angeles Book Festival. There have been a few updates to the book, including a new cover done by the amazingly talented Dawne Dominique. The tour goes on throughout next week. If you’re interested in following, let me know and I’ll send you the other links. Again, thanks so much for your support! Last week, A Louisiana House committee advanced legislation that would forbid the removal of Confederate monuments. The House Committee on Municipal, Parochial and Cultural Affairs voted 10-8 to advance the Louisiana Military Memorial Conservation Act to the full House for consideration. Baton Rouge Rep. Patricia Smith said after the vote that she had hoped the legislation would be defeated in committee and thus avoid a similar divisive debate in the House chamber. She expects the Republican-majority in the House to approve the measure. “Maybe the Senate can stop it,” Smith said. House Bill 71 would forbid the removal, renaming or alteration of any military monument of any war, including the “War Between the States,” that is situated on public property. The measure was amended to require the support of a majority of voters in a public election before any monuments could be removed. His legislation covered all military monuments from all wars. But the bulk of the testimony was about Confederate monuments in New Orleans. Carmody said HB71 could not stop the two-year effort by the City Council in New Orleans to move to museums or other locations, the statues of three Confederate luminaries that dominate major intersections. If approved and signed into law, the act probably wouldn’t take effect in time, he said, a position other representatives disputed. Over a two-hour period, the committee heard testimony from almost two dozen supporters of the bill. Rep. Johnny Berthelot, the former Republican mayor of Gonzales who chairs House Municipal, timed each presentation with a three-minute egg timer. Voting for conserving Confederate and other military monuments (10): Chairman Berthelot, Reps. Robert Billiot, D-Westwego; Paula Davis, R-Baton Rouge; Stephen Dwight, R-Lake Charles; Rick Edmonds, R-Baton Rouge; Stephanie Hilferty, R-New Orleans; Mike Huval, R-Breaux Bridge; Stephen Pugh, R-Ponchatoula; Jerome Richard, No Party-Thibodaux; and Malinda White, D-Bogalusa. Voting against HB71 (8): Reps Joseph Bouie, D-New Orleans; Cedric Glover, D-Shreveport; Sam Jenkins, D-Shreveport; Rodney Lyons, D-Harvey; C. Denise Marcelle, D-Baton Rouge; Barbara Norton, D-Shreveport; Patricia Haynes Smith, D-Baton Rouge; and Joseph A. Stagni, R-Kenner. Also, for this week only, A Beautiful Glittering Lie (the first book in the Renegade Series), is only 99 cents for e-books. This is super cheap, so take advantage of the sale price before it goes up next week! Thanks again for your support! I really appreciate your patronage! A Beautiful Glittering Lie will be re-released next Monday, so pre-order your copy today! This week has been a very interesting one for the city of New Orleans, as well as for everyone who has been observing what has been taking place. Mayor Mitch Landrieu and his city council decided to attack historical monuments in the city, primarily those erected in honor of Confederate heroes. Under the cover of night, city workers dismantled the Liberty Place monument. Landrieu vows to remove three others of Robert E. Lee, Confederate President Jefferson Davis, and General P.G.T. Beauregard. This is insane to me, because President Davis died in New Orleans, and General Beauregard lived there after the war. Landrieu’s reasons for removing the monuments seem to be generic at best. I don’t see how this displays diversity if the mayor offends historians and descendants of Confederate soldiers. On the contrary. Landrieu has been vague about how the city received funding to remove the four statues. “We have enough funding to take down all four monuments,” is all the mayor says as an explanation. He also hasn’t said when the other three monuments will be taken down, so several pro-monument groups have been holding vigil. Apparently, the public has been restricted from giving input into this decision of eradication. The situation is very disconcerting, because it could lead to more destruction of American history in the future. Meanwhile, in Biloxi, the mayor has decided not to fly the Mississippi state flag because he’s afraid it could offend tourists. I find this utterly ridiculous and offensive. If someone is offended by the state flag, they will avoid the state all together. However, I don’t see anyone avoiding the state because of the flag. Apparently, Mayor Gilich even offended some of the city council members with his idea. You can contact city council members to voice your opinion.